Ninjutsu was built as an illegal system because it opposed the culture of the leading samurai elite and for this reason the roots of this skill have been covered by the veil of secrecy and hiding. This caused confusion in history. Unlike the Japanese society which became very stylized, ranked and greatly controlled by the emperor, ninjas lived as naturalists and mystics. Over the course of Japanese history ninjas have made great influence from the shadows in order to ensure the survival and independence of their families and land. The birthplaces of ninjutsu are the regions of Iga and Koga, where ninjutsu has been perfected (between 1024 and 1074) by 70 families. Japanese history was written to glorify samurais and their ethics and at the same time hide the role of ninjas in it. That makes it hard for people to figure out the true purpose and ideals of ninjas. Throughout the violent Japanese history various ninjutsu fighting systems have been surfacing. The exact year cannot be determined because they have gradually developed and perfected through fighting. Techniques have been passed on from generation to generation and so have they improved. 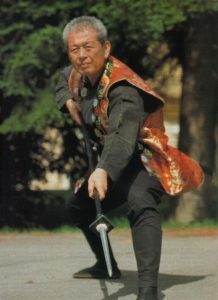 If a technique was not efficient, the warrior would die in battle and it would not be further passed on. 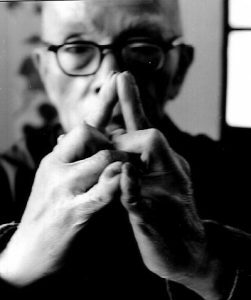 Nine schools have survived to this day and all nine of them have been inherited by the great Dr Masaaki Hatsumi from his sensei Toshitsugu Takamatsu, after whom he had coined the name BUJINKAN (divine warrior) because of his true beliefs that Takamatsu sensei was indeed a divine warrior. 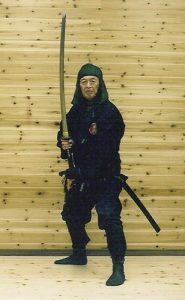 And so Soke Masaaki Hatsumi created Bujinkan dojo as we know it today in the memory of his great master and mentor Takamatsu sensei, the man that was not only his master and friend, but has also expressed great trust and honor in his student being the next Soke and the heir of the nine martial traditions.